The peninsula of Nova Pošta is the northernmost part of the island of Vis. Due to location, this place was strategically important after World War II, when Yugoslavian navy stationed on the island. On the one side of the peninsula there were caved underground tunnels with a few open embrasures, from where nowadays people can admire sunsets. 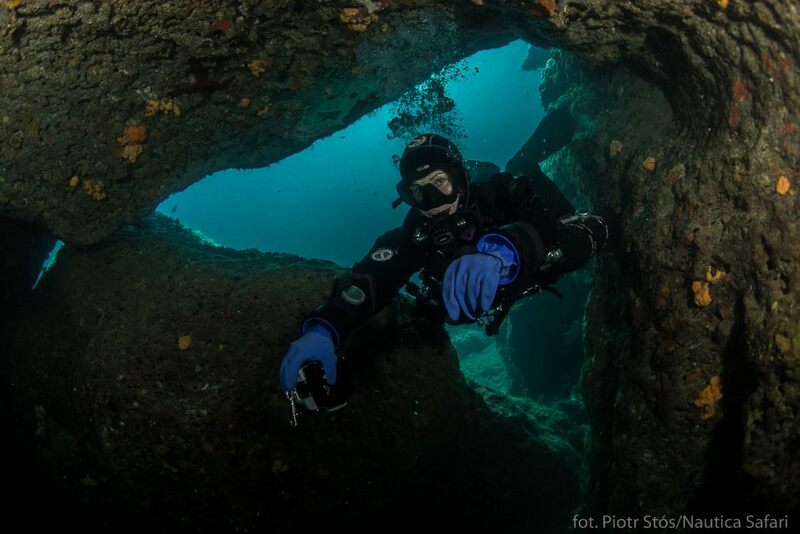 On the other side, in turn, in the calm Parja Bay, the service tunnel for boats (called also a shelter for submarines) was situated, which today is a perfect place for surface breaks between the dives held nearby. As long as the emerged part of the peninsula has been strongly transformed by man, the part which is currently underwater was similarly changed by the sea, which was hollowing corridors through years. The Vis island is mainly built of limestones and dolomites, which are prone to karst processes. 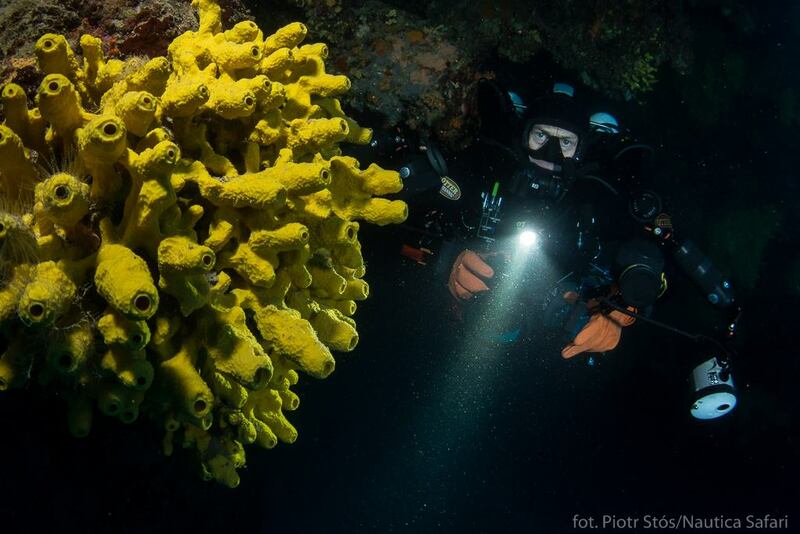 Tens of thousands years ago, when the sea level of the Mediterranean Sea was much lower, karst processes took place in many places in Dalmatia. Then – when the sea level rose and the Dalmatian coast was formed – caves and tunnels were flooded, and the sea, through its activities, contributed to their enlargement, scouring the sediments. 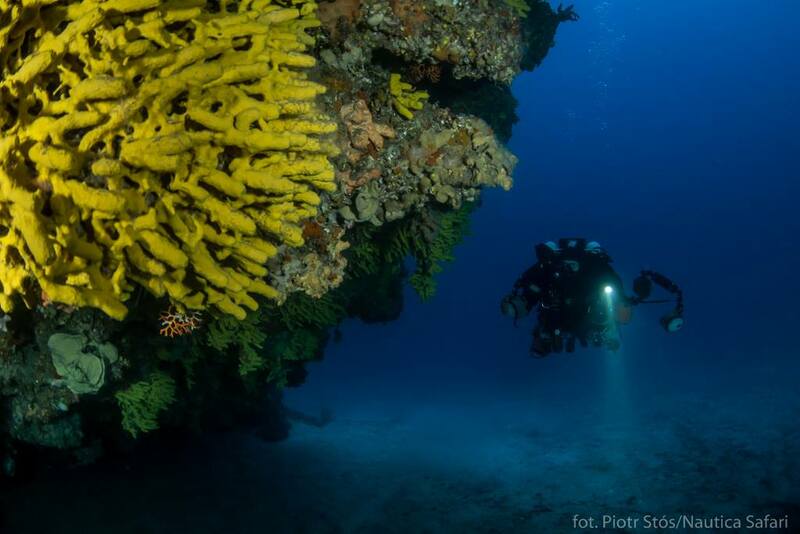 Diving at Nova Pošta starts in a quiet bay, where the boat is anchored. 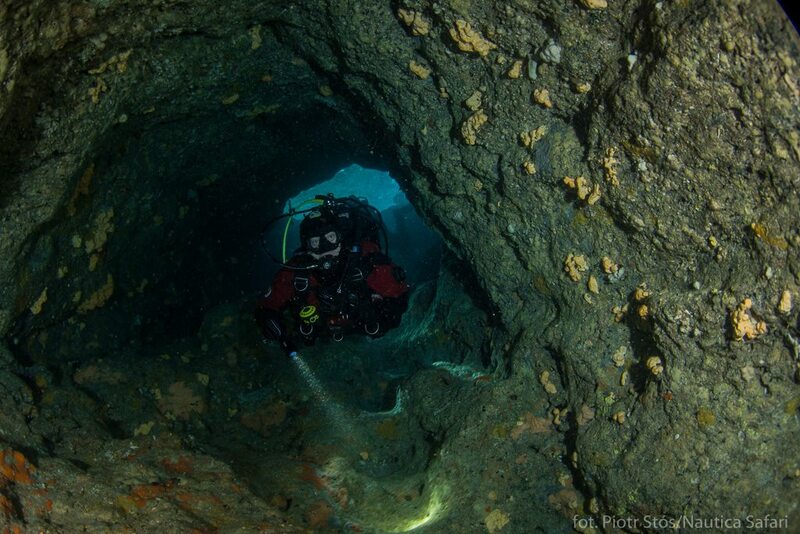 Divers in the very beginning pass a small canyon at the depth of 2-3 m to reach the first tunnel, which entrance is just below the sea surface and the exit is at the depth of 6 m. Then they are in a characteristic pool, on three sides surrounded by rocks reaching at least the surface of water. In this place octopuses and other molluscs, nudibranches, are commonly met. There are also very rare snails with shells – tritons. From the pool the divers can swim out under an impressive rock formation resembling an arch, and – swimming over stepwise descending bottom – reach a cave located at the depth of 40 m. The entrance to the cave makes a huge impression – the overhanging rock is covered with yellow sponges, which at this depth (due to disappearance of warm colours) seem almost fluorescent. 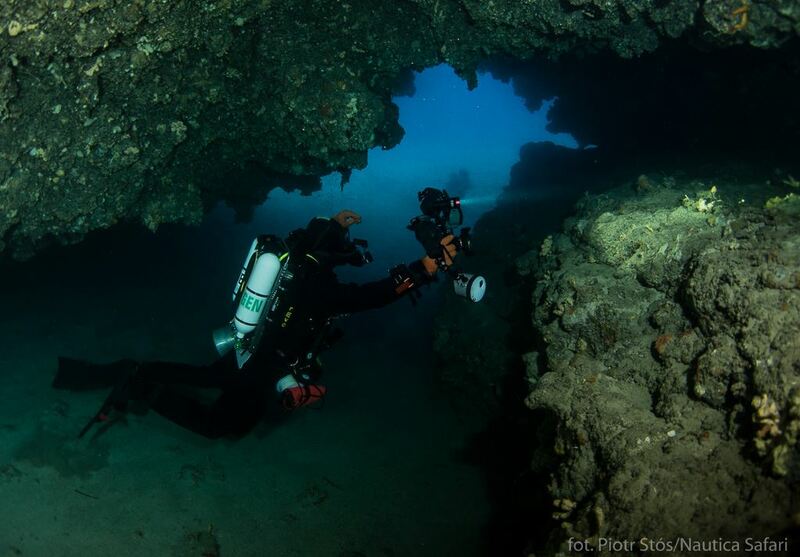 After leaving the cave, the divers can admire the Peter’s Fish, spiny lobsters, squat lobsters and various sea anemones, and then go to the next tunnel, resembling a chimney, with the entrance at the depth of 30 m and exit at 17 m, from where they keep on swimming along the wide canyon going back to the pool, from which they can come back to the boat passing the same tunnel they did in the beginning of the dive or swim around a little peninsula.